Follow up up with trainees – Often, employees lose 90% of their new skills after a year if left unassessed. To effectively keep employees trained, assess your employees periodically and offer refresher seminars. Set up channels for feedback – Many firms make this fatal flaw: mismatching training with the reality of the job. How do you fix this? Make sure that employees have the opportunity to provide feedback throughout the process AND their employment. Train in a welcoming environment – ALN magazine tells us that comfortable employees learn better, so make sure the space is comfortable, keep them well fed, entertained and engaged. Analyze and improve – Keep your training up to date by using the feedback you’ve gathered through assessments and employee commentary to improve the quality of your training sessions. We provide a real-time feedback tool that can help new employees feel heard, and gives your HR team fodder for improvement. We’ll help you assess new employees throughout the process and collect the data for your reflection–all with the tap of a smartphone. 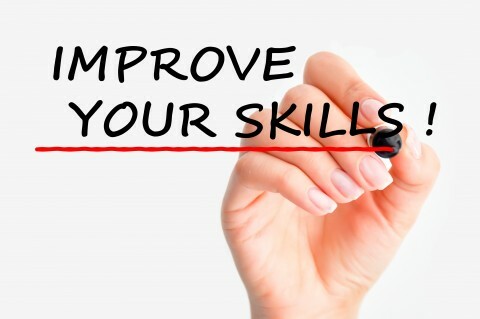 How have you improved your corporate training? Let us know below.